The name of this beer says it all. It is hoppy, and I mean really hoppy. 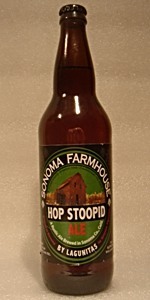 I don’t like hoppy beers that much, but I think that anyone that does will really enjoy this one.